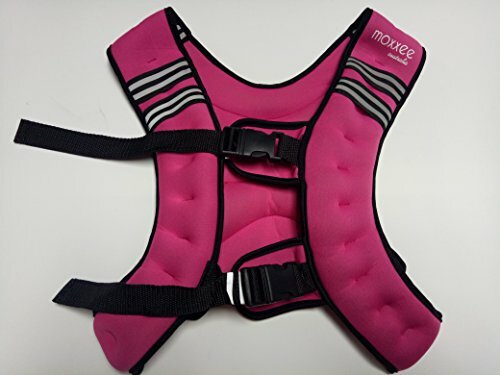 Take your workout to the next level with this super cute pink weighted vest. Whether you are just going for your morning walk or punching out some squats, lunges and pushups, this 11lb weighted vest will have you burning the extra calories! Take it to the gym, use it for your home workouts or out on your morning run. The double strap feature will hold this vest to your body nice and snug . Elastic side straps will make it a comfortable fit. One size fits most. Maximum bust size approximately 44inches. Reflective stripes on the front and back will make you more visable to passing traffic. Soft neoprene material filled with iron sand. If you have any questions about this product by Moxxee Australia, contact us by completing and submitting the form below. If you are looking for a specif part number, please include it with your message.